What if I missed the health insurance open enrollment deadline? After Jan 15th, we get many frantic emails and calls. I missed the deadline for enrollment...now what? There's the little issue of not having health insurance in case something big comes up. We get calls weekly where someone is paying off a $20K bill to a hospital. Enough of the theatrics. We're here to help you navigate the market. There's even a new option that is very popular and we can enroll year round! What can we do if we missed the deadline? Three options available if you missed the deadline. The Open Enrollment typically runs each year from November 1st to the following Jan 15th. There may be special windows such as around tax time for limited re-opening of the market but we can't count on these. These restrictions apply to both off-exchange (direct to carrier) and on-exchange (Covered California plans). 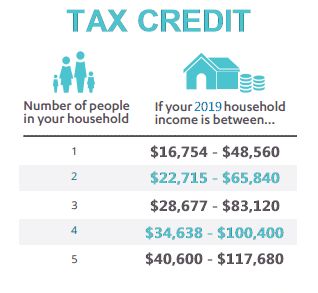 Medi-cal may be available year round if you qualify based on income. These generally revolve around large life changes. There are some other less common triggers but we can help you take advantage of your changes. 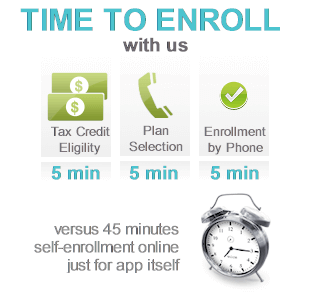 Call us at 800-320-6269 to enroll with your life changes. 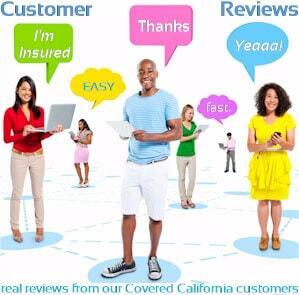 Our services are free as Certified Covered California agents. If you've missed the open enrollment deadline and are using an SEP to enroll, there are rules for the possible effective date. For other qualifiers, we need to enroll by the 15th of the prior month to the get the next 1st of the month. Otherwise, we'll get the next 1st after. We need to complete enrollment within 60 days of the qualifying event (loss of coverage for example). 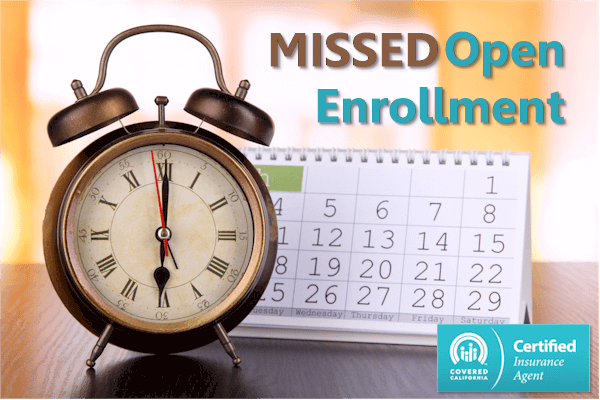 Don't delay or we can miss the Special Enrollment Period altogether! Enrollment takes 5 minutes over the phone at 800-320-6269. What if you do not have a big life change and missed the insurance enrollment window? We used to have an option to carry you out to the next Open Enrollment period (or SEP). It was interim coverage with IHC and sponsored by Anthem Blue Cross. This is a great option (maybe the only option) for people who missed the deadline and do not want to go uninsured. It's a simplified issue policy which means that if we can answer "no" to the health questions, we should qualify. We have been waiting for a good short term bridge plan option for years now. Having Anthem Blue Cross sponsor this policy through IHC fills a definite need in the market. Again, the quote and enrollment option is completely online. Quote here. This is the new kid on the block but not for long. 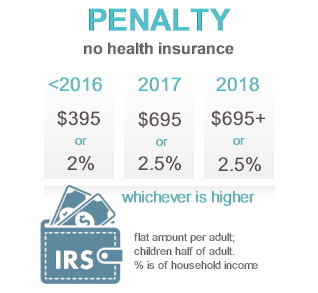 Roughly 30% of the non-subsidized renewals went with AlieraCare this past Open Enrollment. That's an impressive entry to the market. Here's why Health Sharing will probably be the popular route outside of Open Enrollment. Make sure to learn about how it works below since it is new to most people. You can find out more about the best option, AlieraCare here. You can quote and enroll for AlieraCare here. First, look to see if you qualify for a SEP. We can help you with the rules on this. 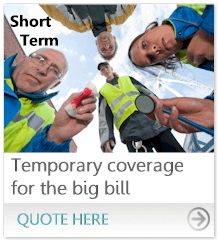 Secondly, you can get a short term plan to cover you till Open Enrollment or your next coverage. You can run your Health Plan Until Open Enrollment Quote here to view rates and plans side by side from the major carriers...Free.